What is now a beautiful c.1885 group of brick and stone edifices, was once a row of simpler, wood framed buildings referred to in advertisements as “Cheapside” or the “south side of Queen Square”. 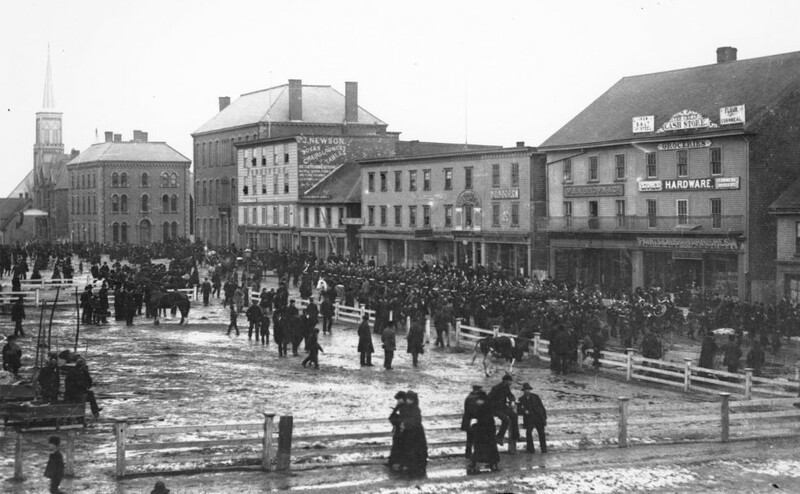 Due to its location near Charlottetown’s market, and legislative, judicial and ecclesiastical centre, this section of Richmond Street attracted commercial activity early in the colony’s history. 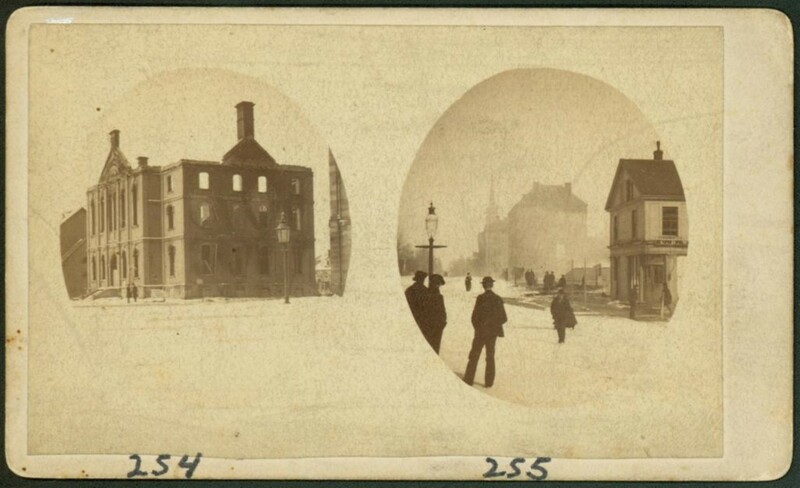 One of the worst fires in the City’s history struck this area at a quarter to one in the morning on 19 February 1884, when local confectioner, Mr. Kennedy, knocked his kerosene lantern onto a mound of tissue paper, while he was trying to put rat poison in a closet. The entire row, save for the Stamper Building on the corner of Richmond and Queen Streets, was destroyed. To make matters worse, the fire had jumped across the street to the recently built post office. The owners each decided to rebuild in fire proof brick and fortunately, they hired some of the City’s most talented architects and craftsmen to carry out the work. All of the buildings were designed by architects, Philips and Chappell or William Critchlow Harris. The Morris Block (built in 1890) the Brown Block (built in 1884) and the Stamper Block (built in 1892) were all designed by Phillips and Chappell. 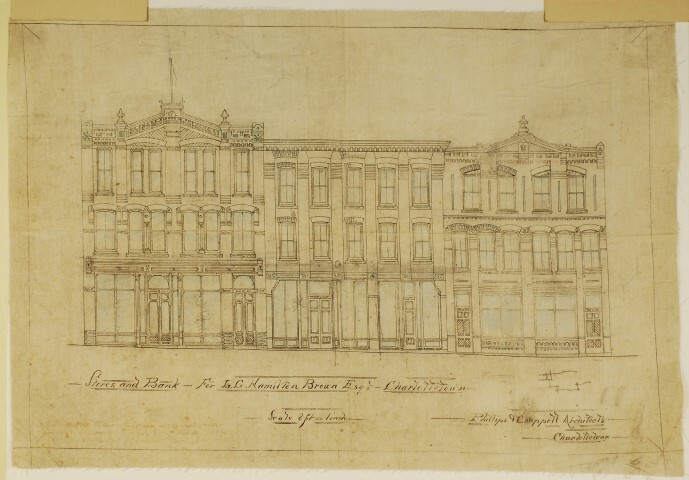 The Newson Block (built in 1885) and the Cameron Block (built in 1885) were designed by architect, William Critchlow Harris. Throughout the years, fire and changes in use have altered these buildings. Fortunately for us however, many original features remain intact. A wide variety of businesses and services were (and still are) available on Victoria Row. Lawyers, furniture stores, newspapers, a dance hall, pharmacies and restaurants all operated from here. 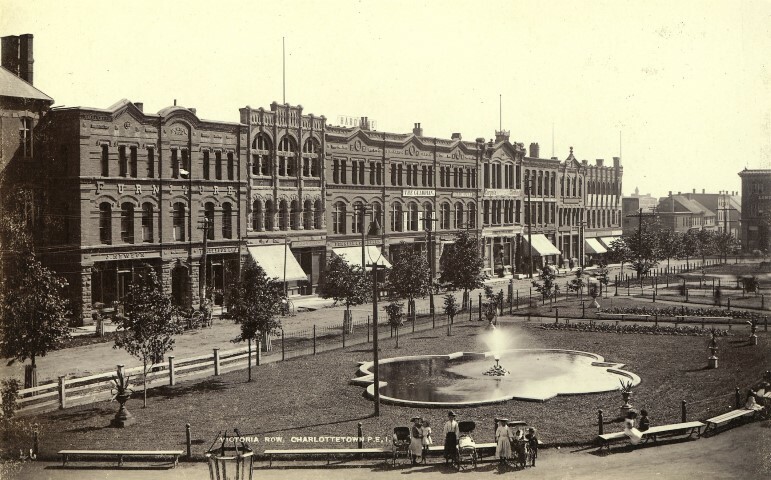 In 1997, CADC, the City of Charlottetown and the local merchants partnered to transform the area into the pedestrian friendly Victoria Row we know today. Closed to vehicle traffic in the summer, the street features brick pavers, mature trees, historic lighting, a bandstand, a fountain, an archway entrance and many outdoor restaurant patios.